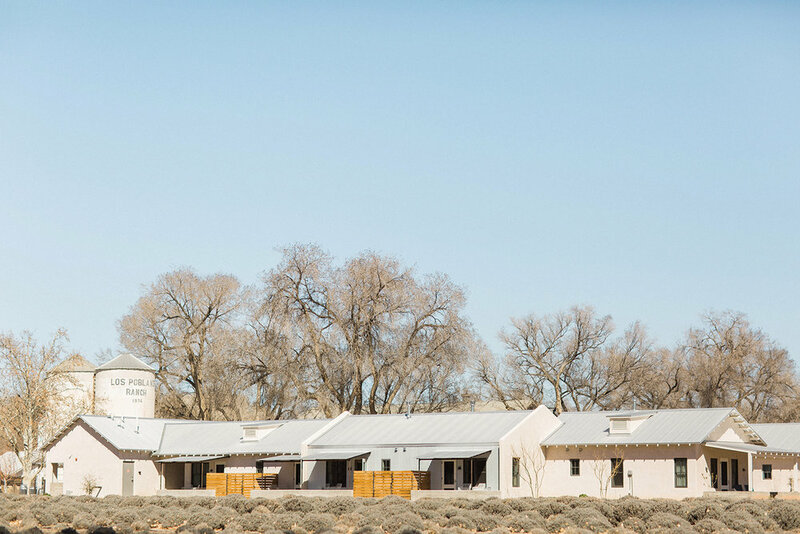 Nestled along the Rio Grande River in Los Ranchos de Albuquerque, New Mexico, this 1930's farm and luxury inn gives its guests a tranquil stay and taste of farm life. Complete with roaming alpacas, peacocks, honey bees, and a plethora of fruit trees, Los Poblanos showcases its lavender fields and vegetable gardens, set against the magnificent backdrop of the Sandia Mountains. 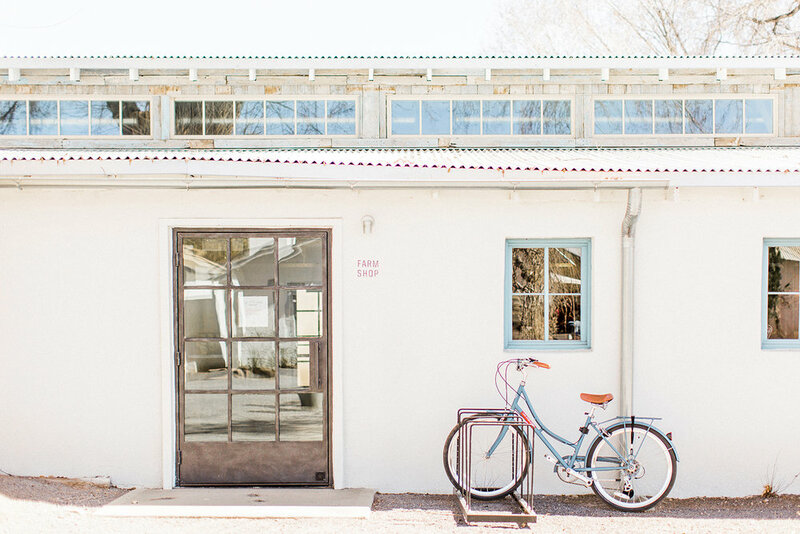 Take a bike ride along the river, lounge by the salt water pool, or browse the farm shop for some lavender honey, all at your own pace. Enjoy the striking beauty of the historic hacienda designed by New Mexico’s most acclaimed architect, John Gaw Meem while strolling though the rose gardens. Enjoy breakfast and dinner in Campo, Los Poblanos' newest addition to the property designed by the talented Atkin Olshin Schade Architects. Boasting food from their own fields and other local farms in the area, don't miss out on experiencing the Chef's Table at dinner, where you can enjoying watching your dinner made right before your eyes! Los Poblanos invites their guests to take their days slowly and soak in their luxury, agriculture centered experience. Los Poblanos hosts three types of accommodations, each well stocked with farm made, artisanal lavender products for your relaxation and enjoyment. 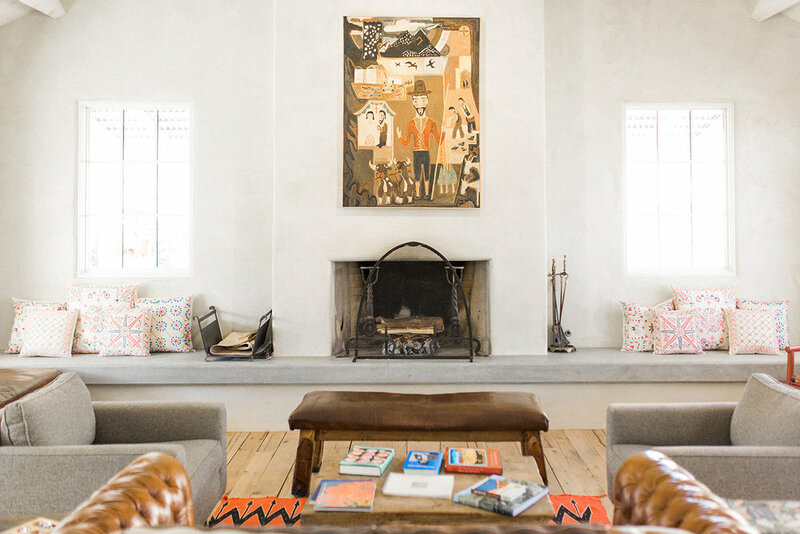 If you'd like to stay in the historic and renovated hacienda and have a traditional, New Mexican wood fire in your room, choose the Meem Suites. If you'd like a private patio, consider staying in the Farm Suites, which used to house the farm's dairy in the 1930's. For views of the lavender fields, book the Field Suites. All rooms are styled with modern amenities and luxury organic linens. Welcoming, friendly staff and a luxury farm experience . Easily access the Rio Grande river for a walk or bike ride. Want a bird's eye view of the river with a true New Mexican experience? Ask the inn to arrange a hot air balloon ride. 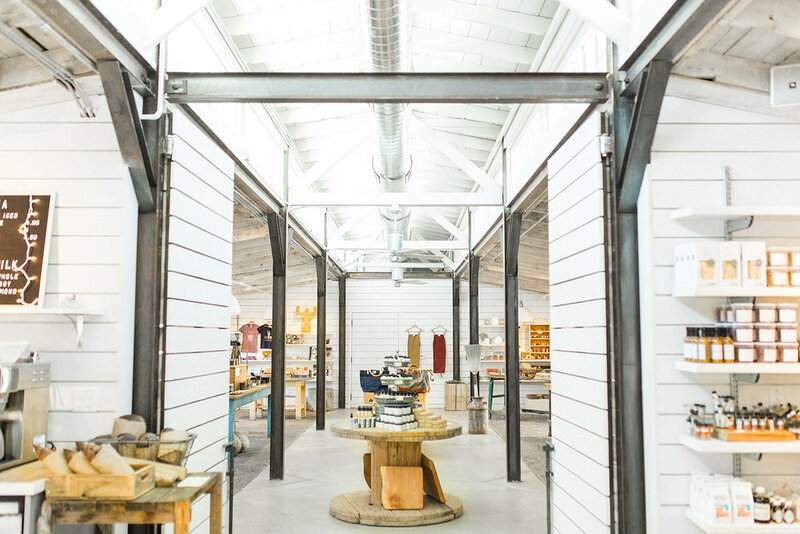 Enjoy the farm shop on premises, offering everything from local pottery and jewelry to an array of house made lavender products. The house bar and restaurant, Campo, are known for seasonal farm fresh fare for breakfast and dinner. For lunch, enjoy sandwiches, espresso, and a variety of charcuterie items from the farm shop. Salt water swimming pool, bar, room service, laundry, restaurant, wifi, gym. Spa services can be arranged on demand. Los Poblanos is located 20 minutes from the Albuquerque International Airport and easily accessed by renting a car. Low season rates start at $195 and high season rates start at $210. Open year round with special winter rates from January to March. Excellent access for guests with disabilities with flat terrain and minimal stairs. Ideal for a couples getaway, but children can be easily accommodated. There is no additional charge for children under age 12 and special activities can be arranged for them upon request. Because of wildlife on site, Los Poblanos cannot accept pets. They recommend boarding arrangements with a nearby kennel. Explore the nearby Sandia and Jemez mountains or kayak down the Rio Grande. If you're willing to travel a little further, take a day trip and explore the beauty of Santa Fe or the surrounding pueblos. Don't hesitate to ask the staff to arrange tours or excursions!